EWW has been gaining daily experience in ferrochrome production since 1917. 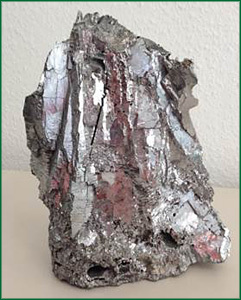 Today, EWW is a world leader producing special grades of low carbon ferrochrome. The outstanding quality of our ferrochrome is the result of a sophisticated process. This starts with the raw material: chromium ore from group-owned mines in Turkey. The ore is high in chromium and very low in undesirable impurities, enabling us to control the quality of our finished product. Each step in the process is controlled and product quality is monitored by modern laboratory equipment. We continuously improve our production process and work with our customers to develop new specifications to satisfy individual requirements.